More than 40 bankers today toured two center-city Nashville neighborhoods whose redevelopment was led by a coalition of banks, municipal groups and local nonprofits. More than 60 bankers today toured two center-city Nashville neighborhoods whose redevelopment was led by a coalition of banks, municipal groups and local nonprofits. 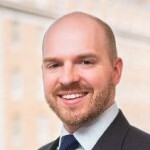 Focused on the Wedgewood-Houston and Rolling Mill Hill areas just south and east of downtown, the tour spotlighted innovative small business startups and affordable housing projects. 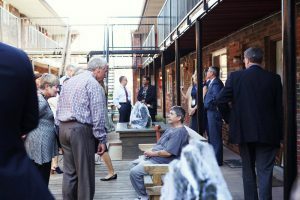 The delegation, which included the American Bankers Association’s Board of Directors and ABA Foundation board members, visited the artist-focused Ryman Lofts, Nance’s Place, Nashville Craft Distillery and Dozen Bakery. The facilities all showcase partnerships among banks, nonprofits and government agencies. The event was the fourth annual community development tour hosted by the ABA Foundation in conjunction with ABA’s Annual Convention.